Having the “Gerlach card” running, I was looking for ways to create something Transputers were made for: A farm, grid, network, cluster – call it what you like. By a lucky incedent I was able to make contact to some people at DESY, which is one of the world’s leading accelerator centres. DESY develops, builds and operates large accelerator facilities, which are used to investigate the structure of matter. It’s comparable to the CERN accelerator in Switzerland. I’ve learned that they were on schedule to switch-off a part of their accelerator, namely ZEUS (German), as all the planned research-protocols were finished… and I’ve learned that they use(d) several transputers for data aquisition and real-time analytics! So after 2 years of shmoozing and sending ASCII-art flowers in mails, I was allowed to give their transputers a new home (else they would have been destroyed – oh my!). I was surprised to see, that there was not the amount of transputers used as I would have expected (hundreds?). So no wonder they were able to replace the transputers by one single Linux box for the last year of the project, running the transputers as hot-standby backup. But I also got all their spare-parts and everything else… a good start. It’s not really worth calling it a board – It’s mainly a TRAM carrier with RS422 drivers for each link. The links for the TRAMs are hardwired, so TRAM1 has one “down link” (i.e. from the host or another card) connected to link0. Link1, 2 & 3 are connected to TRAM1, 2 & 3 respectively. As you can see I stacked some TRAMs (Size-1 TRAM on a size-2 TRAM) to squeeze in the maximum number of TRAM… power to the tower, man! 0 T425b-20 239k 0 [ HOST … … 1:0 ] 136K. Kerberos is the machine I’ve specifically built for hosting all 3 DSM860 cards I own. Because it was clear I will use-up 6 slots just for the 3 DSM860 cards (being sandwiched boards) I wanted to fill the remaining 2 slots as clever as possible. In a sentence: Everything a basic system needs to work! 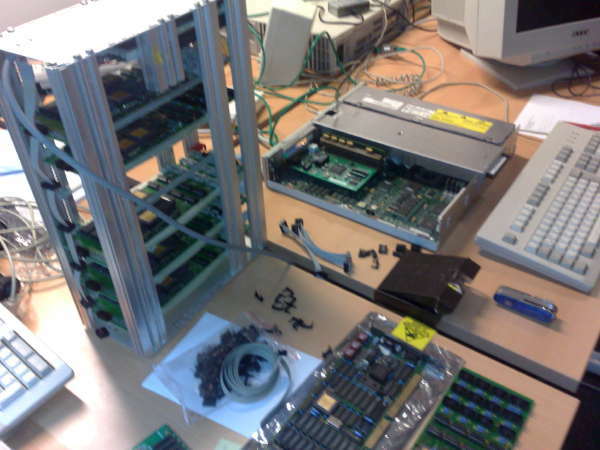 The remaining slot was planned for a NIC making the system complete. Because I was expecting quite some heat coming from the three i860 I’ve opted for a desktop case so that the heat can easily dissipate through the open casing – also I was prepared for lots of plugging and unplugging of cards, jumpers etc. which is much easier with a desktop case. Golden Rule #1 of hardware fiddling: One step after the other! So before filling the system up to its rim, I started with just one DSM860. It quickly became clear that there was no way in using the ports’o’call’s WD90c31 as the server running on the DSMs does only support certain VGA cards (if you like to have graphic output), namely some very obsolete, non-standard Genoa cards…and in its latest version: Good old ET4000! 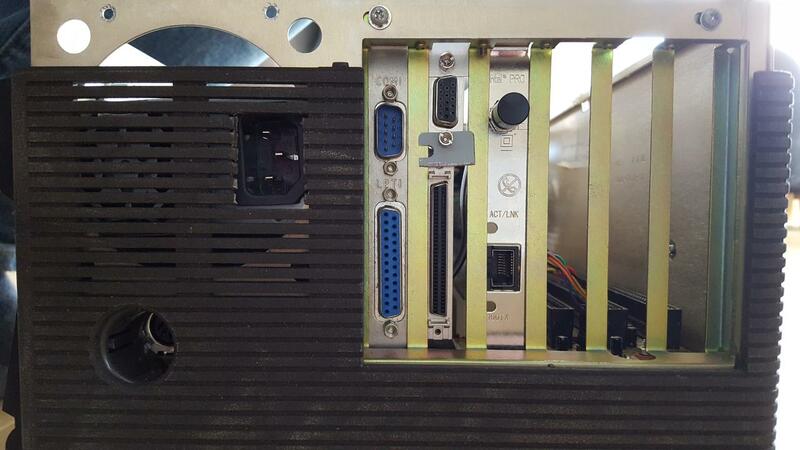 So the nice ports’o’call had to make place for a standard multi-IO controller and the 2nd slot was used for an ET4000. That setup worked quite nicely! After the last DSM860/32 board was fixed, I was ready to “stuff that turkey”. The money-shot 😉 Indeed… in 1991 you would have payed 48.000 German Marks (~US$ 24k) for the DSM860’s alone… plus a 486DX/2 system with a whopping 32MB of RAM (~9500 Marks = ~US$ 4750). So that’s a total of $US 28.750 or the average income/year (1991) in the US. Complete system (w/o display) draws 140W when running full steam ahead. Which is about the same a recent (’09) Intel Core2/Core i7 or AMD Phenom needs @ 3.2GHz – just the CPU though! Meet Sparky 2, my main Solaris box. Yeah, Sparky2 isn’t exactly a roman or greek mythical figure, even the ‘sun theme’ would give you hundreds of possible god, godess and daemon names but there’s a reason. Sparky2s main reason d’etre is Helios core development. As far as my research in the sources went, Perihelions main dev-box was called Sparky – so to honor their work I continued to use this name. Sparky2 is actually the 2nd incarnation of my Solaris dev-box. 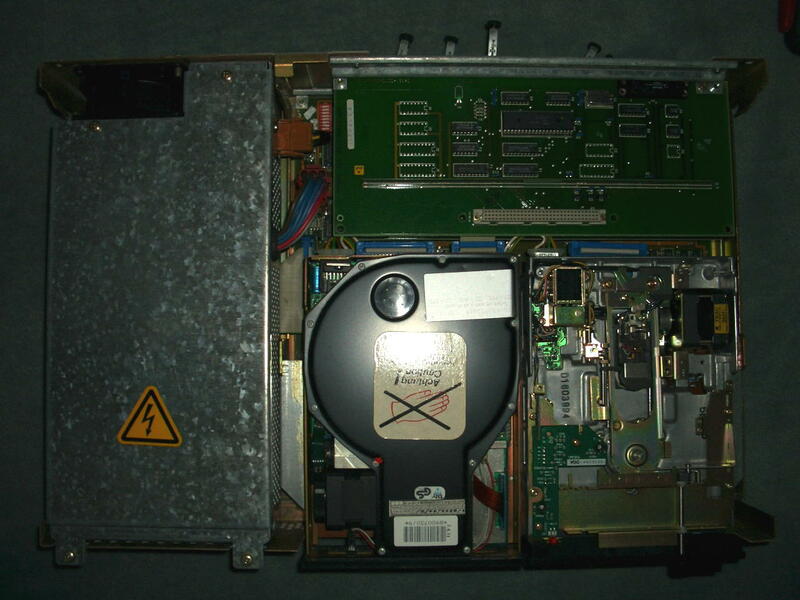 “Sparky-1.5” was/is a lovely SparcStation 20, dual SuperSparc-60 CPU, 384MB RAM and even a on-board CG14-Framebuffer. But that beast is just loud. Loud fans and a loud SCA-SCSI drive. As with most of my vintage computers, I was thinking and planning to replace everything to make it nearly noiseless but while the power-supply fan was doable, the hard-drive replacement would result in unjustifiable costs… and still it wouldn’t been any faster then. So here it is, the ultimate “Solaris-Box-which-can-run-even-in-your-bedroom™”: A Blade 150. Yes, you’re right, pretty recent stuff (2000-2006) for Axels ususal crap equipment, and in a Sun hardware evangelists view, it’s not even worth being called “a SUN”, but I needed it to run silent, and because the Blade 100/150 series is mainly build from standard PC parts, it’s perfect for noisless tuning. It comes in a small ATX-desktop case, uses IDE drives, a standard ATX power-supply, standard PC133 ECC DIMMs (cheap these days!) 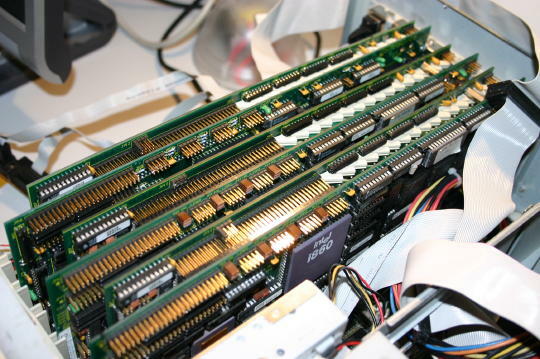 and the 650MHz UltraSparc IIi CPU is fast enough to compile any vintage project in matters of minutes and not hours. So out went the power-supply fan as well as the case-fan in the front and both were replaced by my noise-killer-of-choice: BeQuiet! fans. The supplied Seagate IDE drive is already very silent, so I didn’t replaced that by some IDEtoSDCARD adapter or even a SSD (no, it wouldn’t be faster, the interface is ATA66). As for the CPU-fan I was told that some (more silent) NVIDIA fans perfectly fit – need to try that later found a better solution, see post below. Depending what you’re planning to do with it, a blade supports IIRC Solaris from version 7 up to 10. In my humble opinion Solaris 8 is the best OS to fiddle around with vintage sources: “Modern” enough and still featuring SunOS 4.1.x compatibility through the ‘SunOS Binary Compatibility Package” (called SUNWbcp). While not necessarily needed for vintage coding, I still think it’s a must-have: pkgutil from the OpenCSW project – especially since Sunfreeware is unixpackages.com now, which isn’t free anymore. Contrary to this, pkgutil is the ultimate & free package-manager and just works as you might got used on other platforms (yum, ipkg and such). It’s much of a relief when you finally got basics like bash, less and another-editor-than-vi etc. Here’s how to get started. 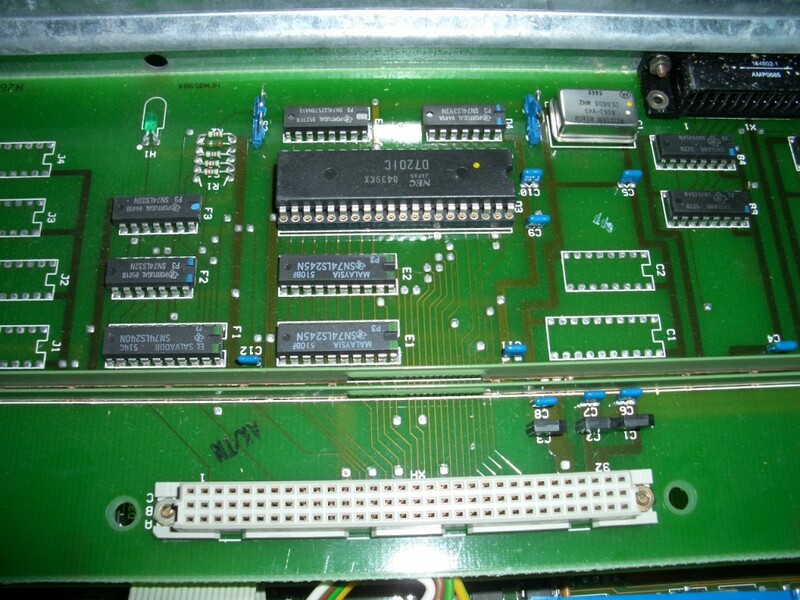 Yes, the PC-X/D were one of the few machines using the 80186 instead of the “industry standard” 8088/8086. That move seemed to be advanced but it was a step backwards actually, because all those machines were more or less incompatible to the available, ever-growing MS-DOS software library. Because nearly everything was non-standard in this beast (graphics, expansion bus etc), its career didn’t take long. I love the keyboard, though. 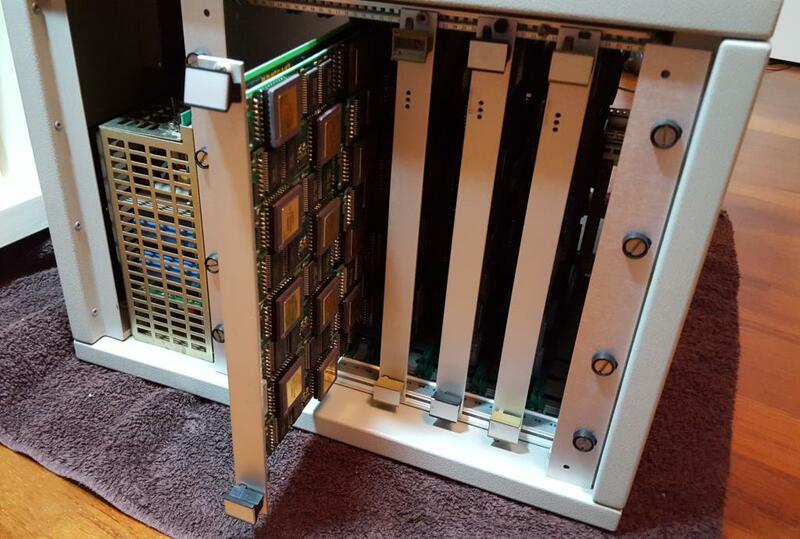 It looks very 80’s and is another example of German over-engineering: You can run over it with your car, it’ll still works – like an IBM Type M.
Next in the “stack” is the graphics card which also controls the keyboard. It seems to be different from the one used in the PC-D version. 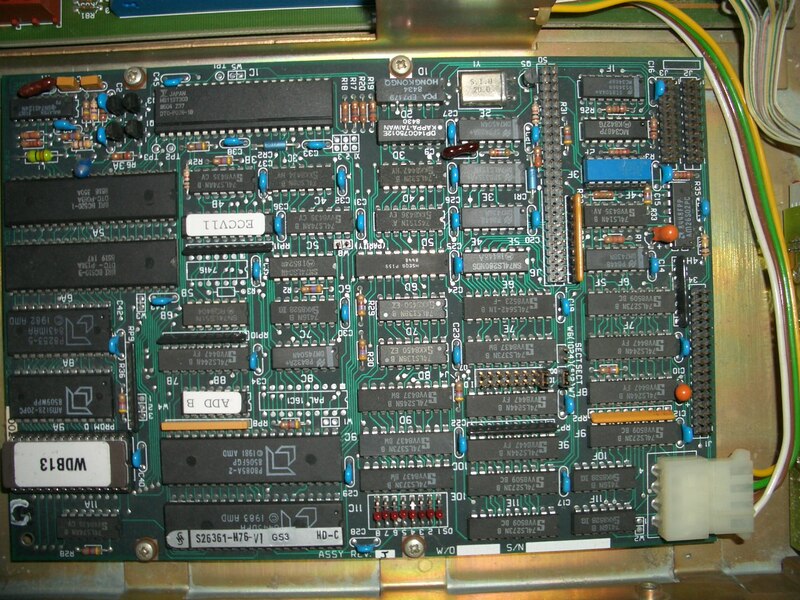 Left side a 8031 and a SCB2673 (Video attributes controller), 2 EPROMs (D39/40) and a 2k SRAM. 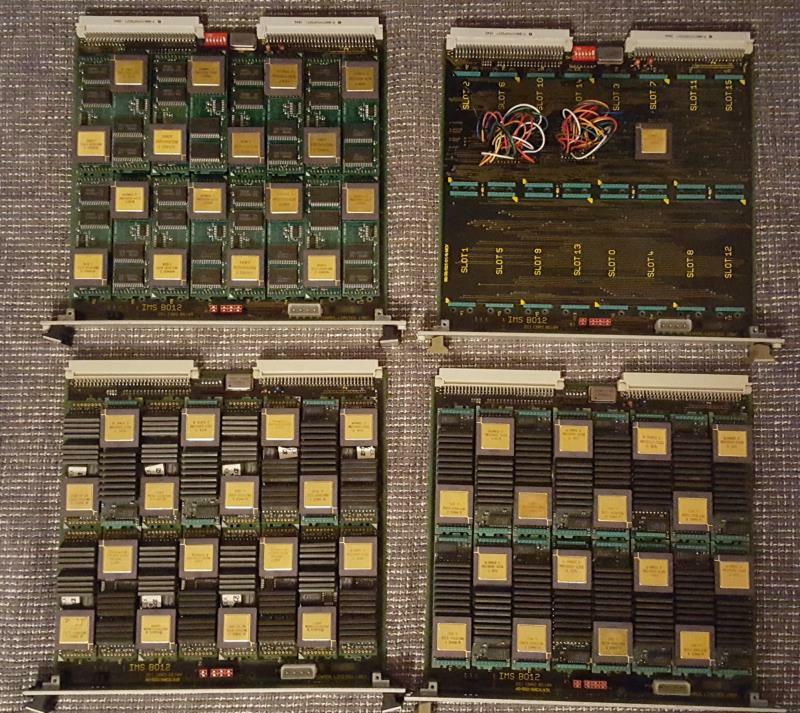 The reason to finally write this post is that I was asked for an image of SINIX and of the PC-X’s ROM to get the whole thing emulated in MESS. So here are the ROM images of what I have. Maybe I’ll be able to add some more floppy images… stay tuned. While browsing the web, I came about another version of the mainboard and graphics-card. According to their model numbers and their design, they seem to be predecessors of my boards. 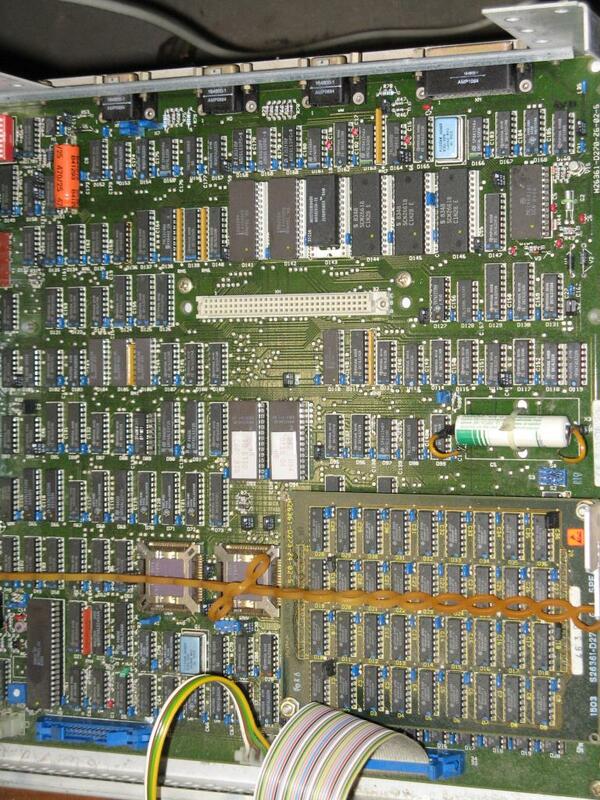 Here’s the mainboard. While mine has model W26361-D270-Z6-05-36, this one is marked -D270-Z6-02-05. The graphics-card has more differences (mine is W26361-D310-Z4-03-5, this one is -D282-Z4-10-5. 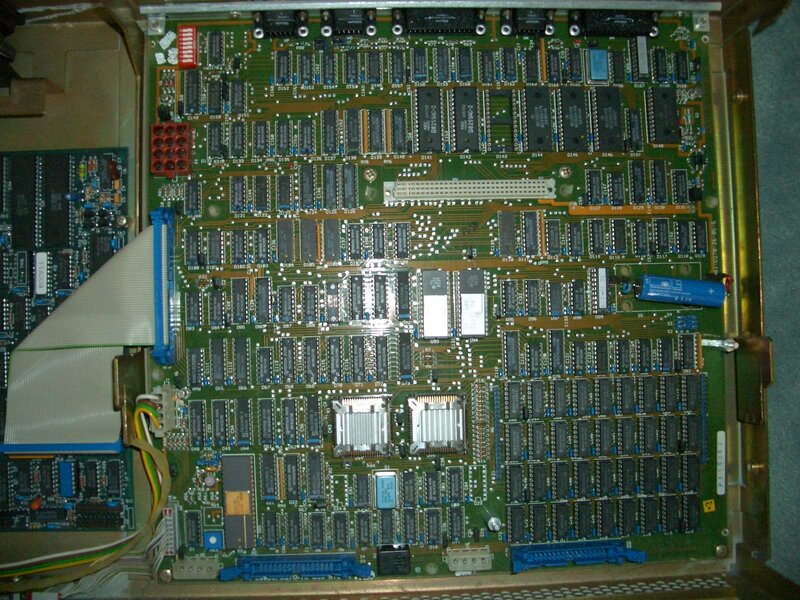 The ICs are placed differently, its design looks more cluttered and some ICs aren’t populated on the board at all. So after one minute /etc/passwd is yours, too. 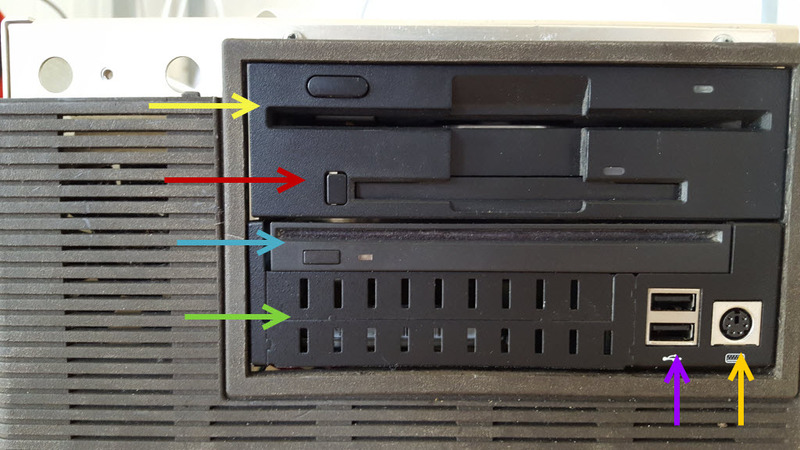 Can I replace the DTC 520B and use a SCSI drive directly? As the SRAMs on the graphics board are sitting in bigger sockets – what will happen if I use bigger SRAMs? This might be answered when the emulation is working and we can fiddle with the video firmware to use more SRAM. This time I went for something slightly bigger 😎 …A clear bow towards the Parsytec GigaCube within a GigaCluster. The Cube uses genuine INMOS B012 double-hight Euro-card carriers, giving home to 16 size-1 TRAMs – Parsytec would call this a cluster and so will I. Well, this is the evaluation version in a standard case, i.e. this is meant for testing and improving. I’m planning for a somehow cooler and more stylish case for the final version (read: Blinkenlights etc.). And here’s the IMHO more interesting view… the backside. 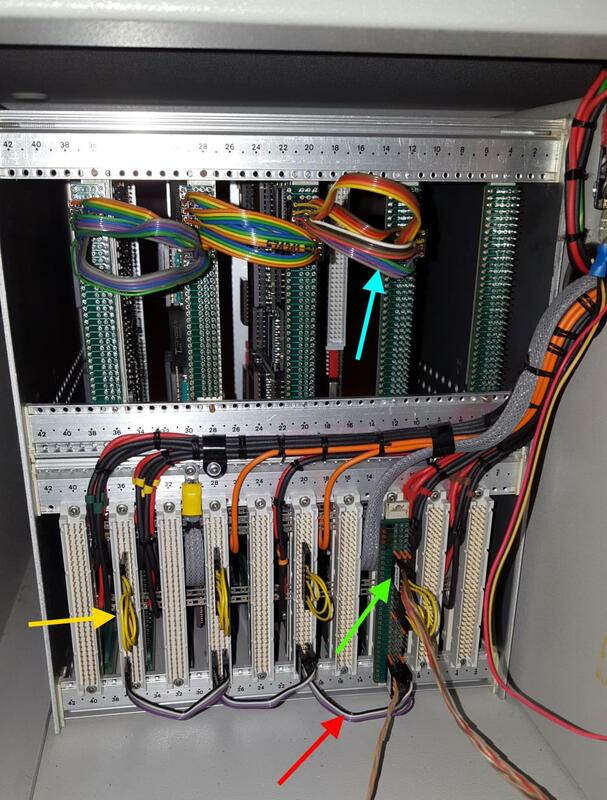 It shows the typical INMOS cabling. As usual, I color coded some of the cables. The green arrow points to the uplink to the host system to which The Cube is connected to. Red are the daisy-chained Analyse/Reset/Error (ARE) signals. The yellow so-called jumper-cables connect some of the IMSB004 links back into the boards network. And in the upper row (blue) four ‘edge-links’ of each board are connected to its neighbor. This setup connects four 4×4 matrices (using my C004 dummies as discussed here) into a big 4×16 matrix. Finally I will ‘wrap’ that matrix into a torus. Yeah, there might be more clever topologies, but for now I’m fine with this. For completeness, here’s a quick look at how things came together. Well there isn’t any specific software needed to run The Cube, but it definitely cries out loud for some heavily multi-threaded stuff. So the first thing has definitely to be a Mandelbrot zoom. As usual, I used my very own version with a high-precision timer, available in my Transputer Toolkit. Other Transputer and x86 results of this benchmark can be seen in this post over here. We need (even) more power, Igor! So this is running fine – using internal RAM only. On the other hand, it seems that the current power supply has some issues with, well, the electric current. 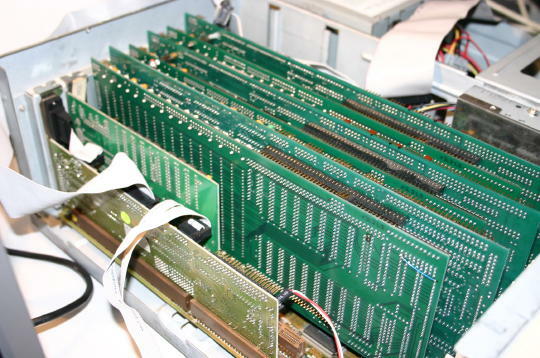 When booting Helios onto all 64/65 Transputers which uses all of the external RAM, very soon some of them do crash or go into a constant reboot-loop. By just reducing the network definition (i.e. not pulling any Transputers) to 48, Helios boots and runs rock-solid. So this is the next construction site I have to tackle. SUN -for whatever reason- decided to put a comparably small 40x40mm fan on top of the non-standard heatsink and additionally placed some aluminum spacer around it. 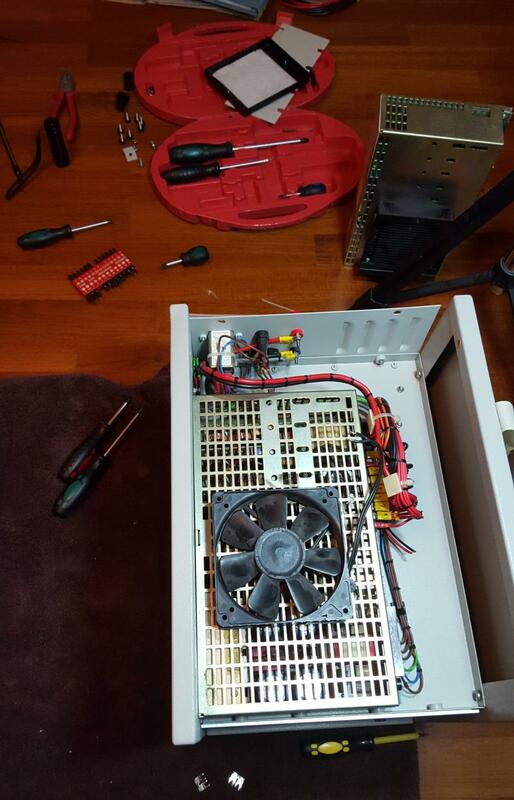 Removing everything revealed a totally standard PGA 370 socket! 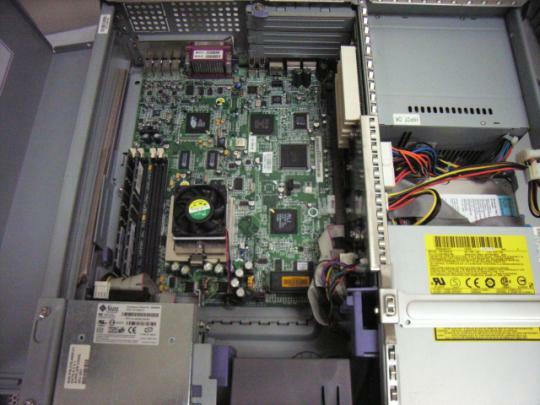 That’s Pentium III, if you remember… So a quick check in my old-junk-stash resulted in 3 nice heatsinks. I took the full-copper one and mounted a 60x60mm fan on top. After checking the fan also starts at 5 volts, the decision was clear: Bigger, massive copper heatsink plus bigger fan should be sufficient at lower revs. There’s no direct 5V source on the Blade 150 motherboard. 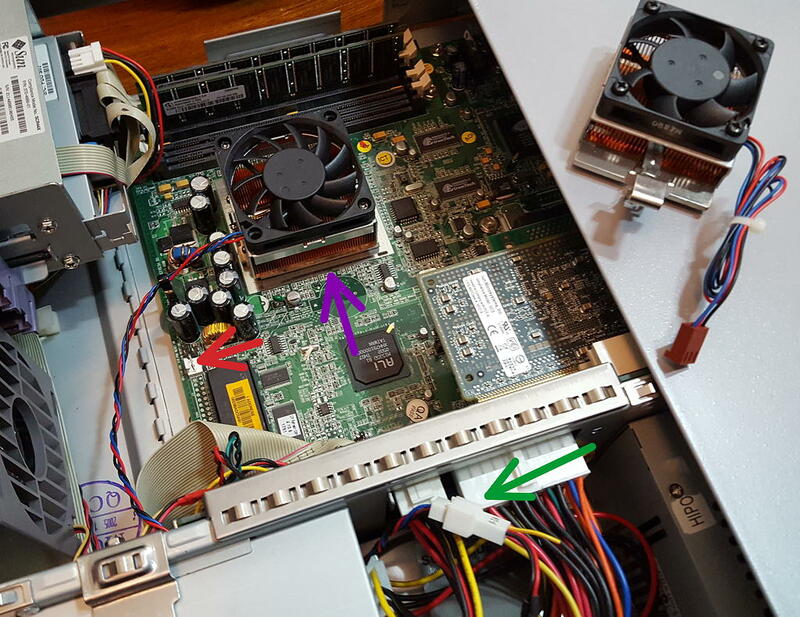 So I chose the vacant connector for the optional 2nd hard-drive (the closer floppy connector would do, too – but I had no spare cable to salvage). Simply connecting the fan there wasn’t enough. OpenBoot actually checks for the fan tachometer signal and refrains from booting the system without one connected. I was already evaluating how to build a signal dummy (a simple 555 timer circuit) when I decided to check if a simple forking out of the signal is enough. So I used a 2-wire cable and put ground and the tachometer signal to the on-board fan connector… and voilá that made the OpenBoot happy. Finally silence! Green arrow: This is where the new fan is connected. 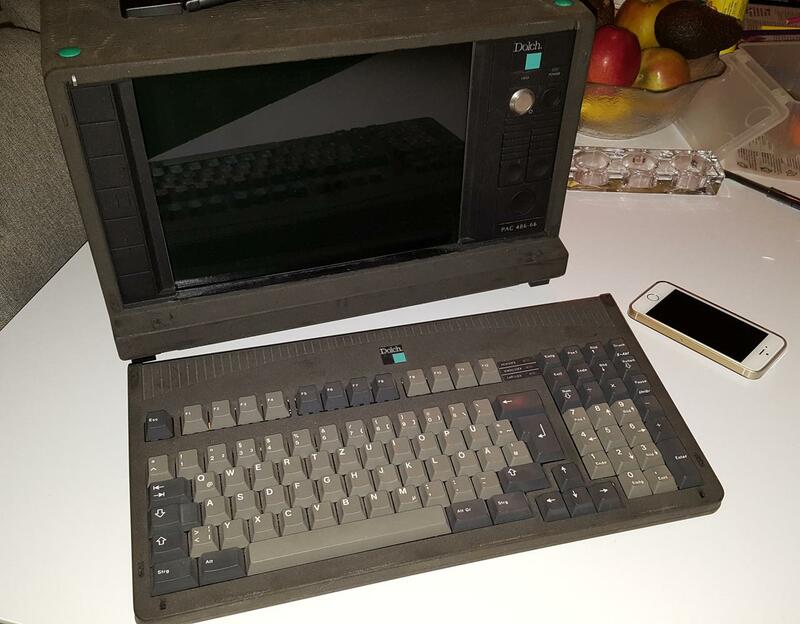 May I introduce you to Henkelmann – a heavily modded Dolch PAC 486 “portable computer”. all of which required proper cooling or something more power efficient. 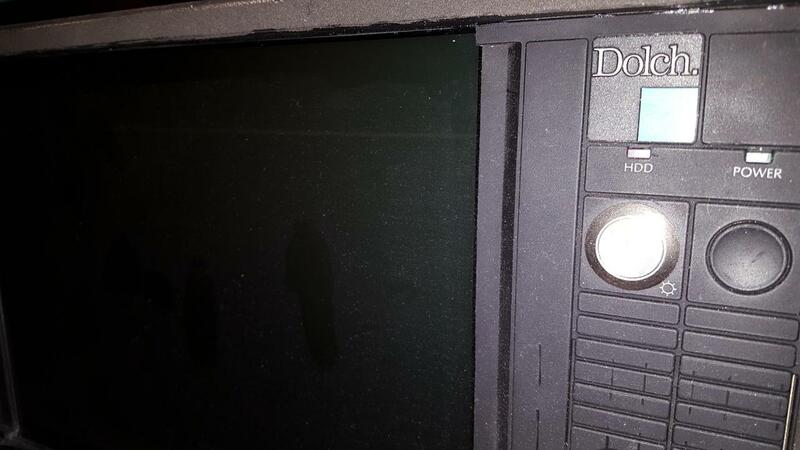 Well, from the moment I’ve opened the ‘box’ by removing the keyboard from the front it became clear that I have to change the small 10″ display which was just OK with its 640×480 resolution to be used with DOS but using Windows was out of question. 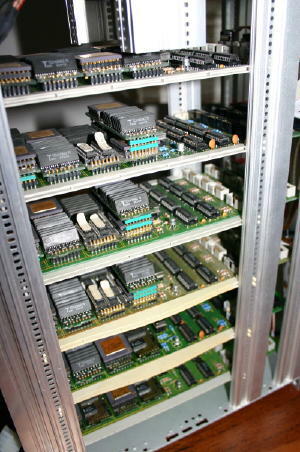 The original system used an ISA graphics card to control the TFT display – these cards are mostly dedicated to a specific kind of display. So both had to go… and I was able to find a new combo at ePay. Being more modern, the new controller card was a PCI card. But that was totally fine as I was going to change the main-board anyways. One downside is the fact, that the cables and electronics of the display made it necessary to mount it upside-down – technically that’s no issue as there’s a solder-jumper on the graphics-card to make it flipping the picture. The bad thing is, that the display has an optimized view-angle for just the other way round 🙁 So looking from top at a steep angle the picture looks inverted – from a frontal view there’s no difference, though. As I wanted the best of both worlds, I needed a baby-AT format for being able to re-use the original case openings (AT-keyboard plug!) but also having as many ‘modern features’ as possible, e.g. PCI, IDE, USB, etc. Luckily I’ve found the DFI K6BV3+/66 which is a Supersocket-7 board in Baby-AT format… how cool is that?! Because it’s a Super-Socket 7 board I hunted for the best CPU available for that socket, the AMD K6-III+, a real beast for its time – which I planned to underclock to 266MHz, because I wanted to cool it passively. 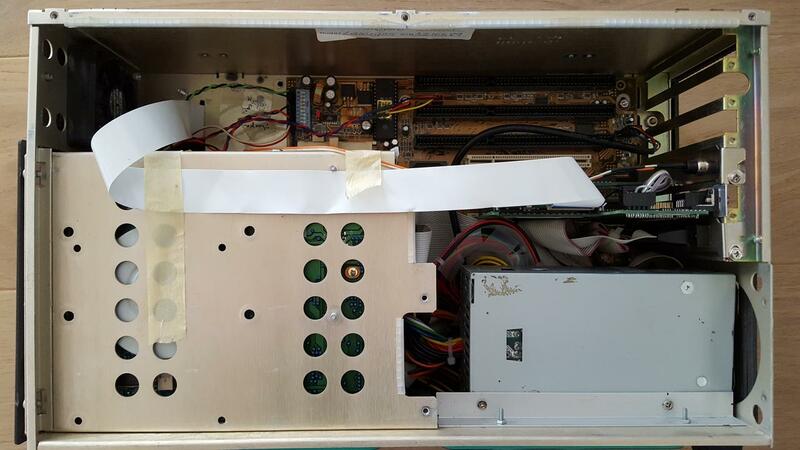 Well not completely… while the K6-III has a low heatsink on his top, there’s no room left for a fan on top of that. So there’s a small fan on one side of the case (top left corner in the picture below), sucking air in and blowing it over the heat-sink towards the optional ISA cards… not 100% optimal but worked so far. As the K6BV3+ has just an ATC power-connector a new and preferably smaller power supply had to be found. 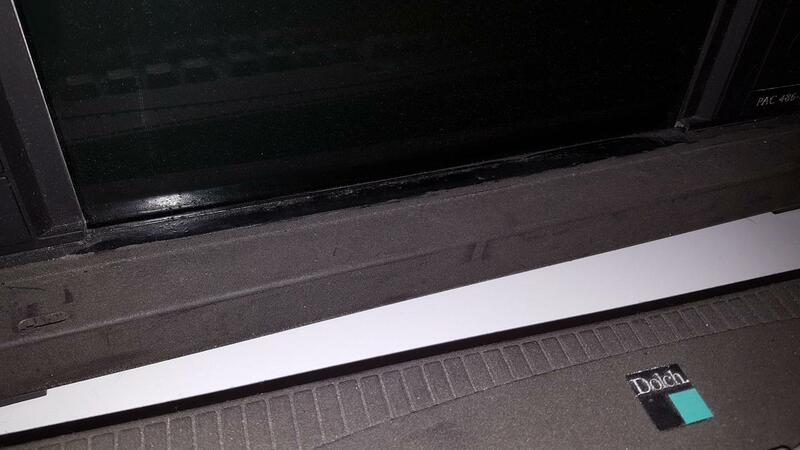 For that, I had to create a custom mounting using an aluminum angle profile (lower right in the picture below). All that effort gave me a portable, well, “luggageable” PC which can read and write most media you need for vintage computing. It’s rather fast, nearly silent and most importantly features 2 full-size ISA slots and a shared PCI-slot for more recent stuff.